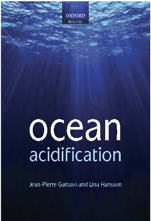 Studies investigating the effects of ocean acidification on marine organisms and communities are increasing every year. Results are not easily comparable since the carbonate chemistry and ancillary data are not always reported in similar units and scales, and calculated using similar sets of constants. In response to this problem, a data compilation is hosted at PANGAEA Data Publisher for Earth and Environmental Science and maintained in the framework of the International Atomic Energy Agency (IAEA) Ocean Acidification International Coordination Centre (OA-ICC) in collaboration with Xiamen University, China and the Laboratoire d’Océanographie de Villefranche, France . 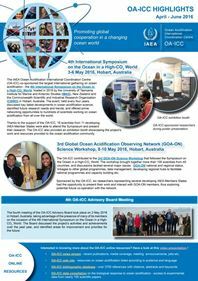 The goal of this data compilation is to ensure the archival and streamlining of data on the biological response to ocean acidification (and other environmental drivers), as well as to provide easy access to the data for all users. Published data are made available to the scientific community in a coherent format and with a citable DOI. This new user-friendly portal allows users to easily access relevant biological response data based on a set of filters. We would greatly appreciate your feedback on this new tool. You can do so by contacting the OA-ICC at oaicc@iaea.org.